A refreshing article in a sea of the same. Thanks for always looking for the non-obvious, truly insider information. You’re my No. 1 go-to MtG finance author. Thank you so much for the kind words! It really means a lot to me because I often wonder if by going towards the non-obvious, I’m simultaneously putting off people who prefer mainstream type articles. I recognize my writing isn’t perfect for everyone, but I try to provide unique ideas each week. Hopefully you can use this info towards profit! Please keep comments coming and let me know if you have any specific ideas/feedback you’d like me to explore in a future article! Someone took your advice on the Alpha Rares on eBay being sold by KidIcarus today… I took the safe route and only went in on ones I was very sure would grade out, ended up with zero. Whoever it was though was buying like crazy today, things that I seriously doubt have any chance of coming in at NM, and I think they’re in for a rude awakening when they send them in and 10% of the cards are NM, the rest they have to eat a loss on because they bought them for 80% of the NM buylist price. …and they only get 50% of the NM buylist price because they’re SP, and that’s CFB’s policy. Grading is SOOOOOOOOOOOOOOOOOOOOOOOOOOOOOOOOOOOOOOOOOOOOOOOOOOOOO critical (yes, this many “O”‘s are necessary) when it comes to dealing in Alpha and Beta. These vendors offer very high buy prices on Alpha rares, but they have to be in top notch shape. Personally, I usually only buy BGS 8.5 or better graded rares when I’m trying to flip to buy lists for profit. Buying from TCG Player or eBay is a recipe for disaster, as a couple minor nicks could mean 50% downgrade in buy list value. I sure wish them luck. I hope I didn’t mislead folks in the column above – NM Alpha rares are very valuable…if they’re truly NM! It’s not a good time to want to actually own NM Beta cards for playing purposes :(. 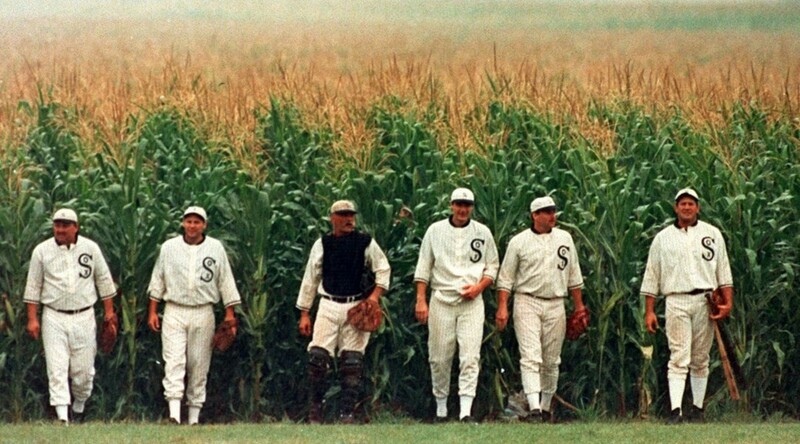 The Field of Dreams spike is just disgusting, I can only see it drop from here, but it’ll likely stay over $20. Glad to see something other than another boring set review though. 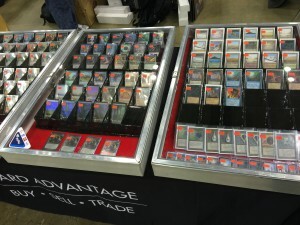 If you want to own NM Beta cards, you best get them now before all vendors notice the price floor SCG has established. Or, in light of the comments above, you could settle for SP copies. They still look mostly decent, but should be worth only 50-75% of their NM counterparts. That’d be my suggestion, if you want nice-looking Beta cards to play with. Leave the gradable NM cards to investors/collectors willing to pay the hefty premium. I only settle when it comes to Power, though I will accept more worn cards that I receive when they come at a discount. I already figured out by myself that it would be best to get them now. The thing is, many cards are not available in NM at any price, or you already have to overpay widely for a graded copy. Drawing attention to them makes it even less likely to find reasonably priced copies before anybody else does. There just aren’t enough copies to go around and speculators jumping in doesn’t help. I would really prefer this market to remain for the collectors. Obviously I realize this makes them great speculation targets, just want to express that there’s another side to it. We are often getting blamed for pushing up prices, which I feel is often widely exaggerated, but for this rare stuff it’s definitely true and not helping our reputation at all. (I know you mean well and just want to share information that’s out there but may have gone unnoticed. I understand you writing this article even if I would prefer this part of the market to be ignored).